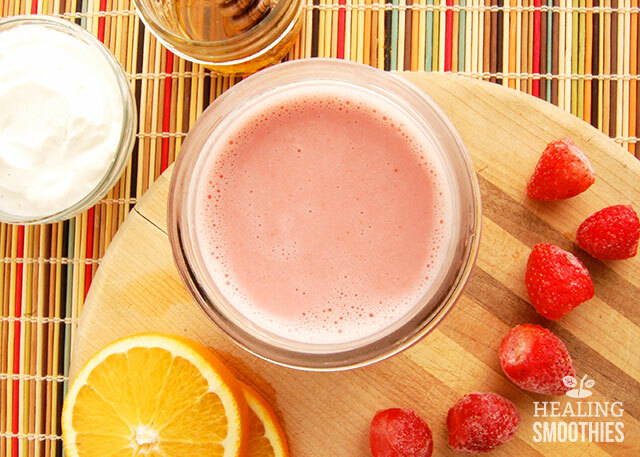 Less is more in this simply sweet smoothie. 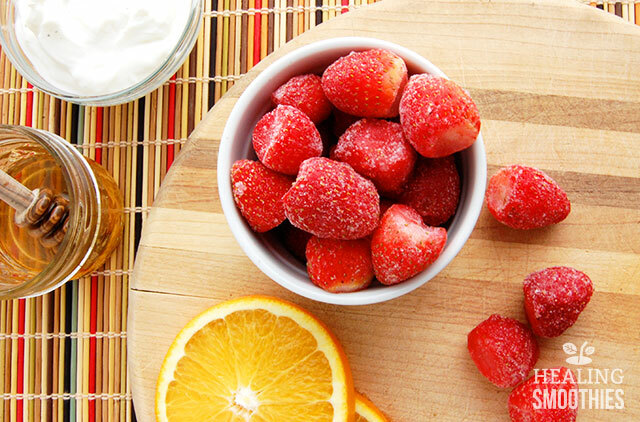 With a handful of strawberries you can eat healthily and indulge at the same time. The naturally sweet fruit would be a great addition to any diet, especially for strengthening immunity. Surprisingly, strawberries are high in vitamin C. Maybe it just surprises me because they are so small, but one cup of strawberries packs the same amount of vitamin C as an orange. Vitamin C is a well-known antioxidant that boosts the immune system and fights damaging free radicals. Free radicals are harmful cells that can trigger a chain reaction, further damaging other cells in the body. A high amount of cellular damage can lead to various illnesses and cancer, and can accelerate the effects of aging. 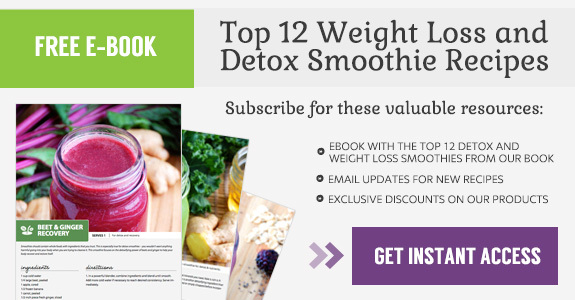 Antioxidants such as vitamin C minimize the damage to your cells caused by the free radicals. Other antioxidants that can be found in strawberries include anthocyanin, ellagic acid, lutein, and zeaxanthin. Anthocyanin gives the berries their red color and helps eliminate free radicals, protecting against cancer and tumor growth. Ellagic acid similarly may suppress the growth of cancerous cells. The antioxidants in strawberries also improve cardiovascular health by reducing oxidative stress and inflammation. Including strawberries in your diet may even help to regulate your blood sugar levels, decreasing the risk of type II diabetes. Furthermore, strawberries are a good source of manganese, potassium, and fiber. 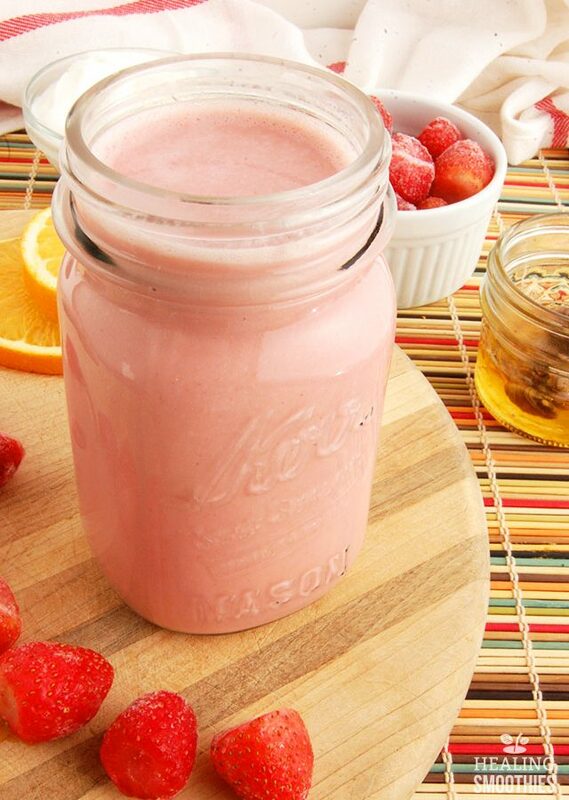 Strawberries are rich in B vitamins as well, specifically folate. Folate is particularly important for pregnant women and fetal development, since it aids in cell growth and repair. 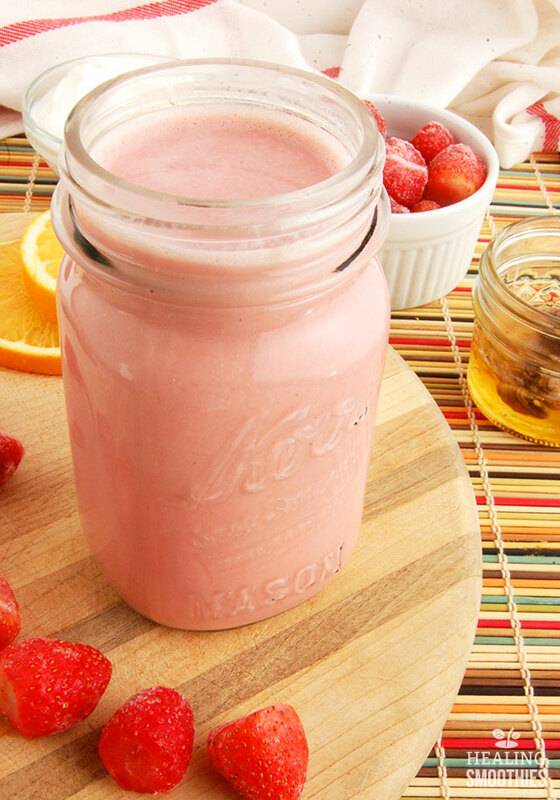 Nutritious and delicious can be found in the same place, in this smoothie. Either coconut milk or almond milk can be used for the liquid base depending on personal preference. 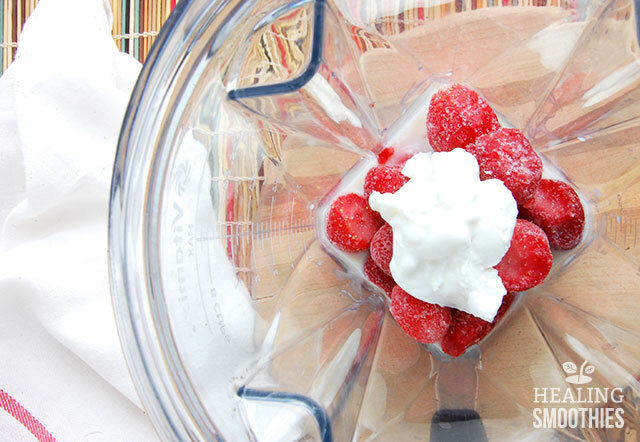 This is an especially easy smoothie to blend together, and can be enjoyed often.